Under the agreement, the UN nuclear watchdog will run checks on Gachin (yellow cake) mine in southern Iran and Arak heavy water plant. Salehi described Iran's cooperation with the agency as widespread and transparent, saying that talks raised issues in a way to see the two sides satisfied. 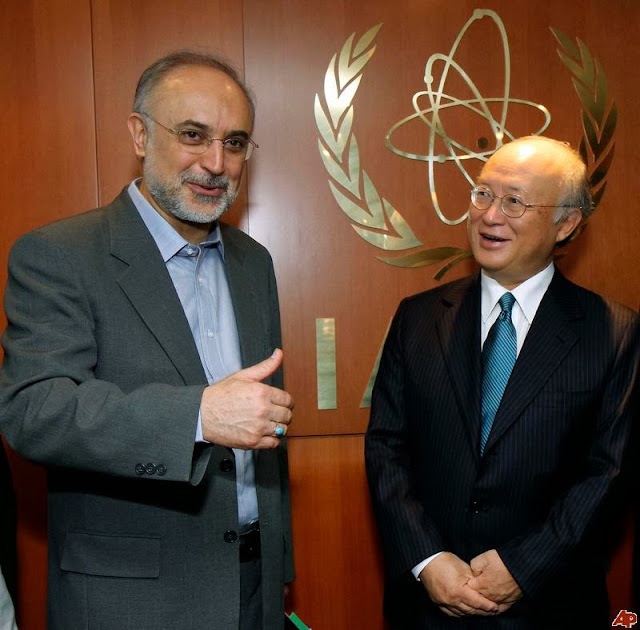 Salehi said talks between Iran and the IAEA and the 5+1 group are going ahead well, adding that we could reach an agreement thanks to a new approach of the Iranian government and the country's past experiences. 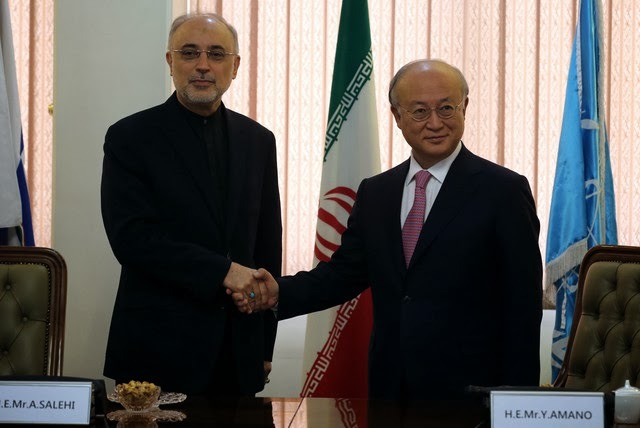 The IAEA chief who was speaking after the two sides signed a joint statement also said that the statement is a roadmap which sheds more light on mutual ties meant to discuss the remaining issues. Amano arrived in the capital city, Tehran, early on Monday for a visit at the invitation of Ali Akbar Salehi. Speaking to reporters in Vienna before departing for Tehran, the IAEA chief expressed hope that his visit would lead to concrete results towards resolving “all outstanding issues to ensure Iran's nuclear program is exclusively for peaceful purposes,” according to Press TV. The first round of talks between Iran and the IAEA under the administration of Iranian President Hassan Rowhani was held on September 27.